"The 'Key To Consistently Winning In The Game Of Life'...the missing ingredient...lies in consciousness where few choose to look"
It's quite possible that you don't know me personally, and if that's the case, it's highly likely that beginning by asking favors may be something that you find to be a bit unusual. Although it's uncommon that a complete stranger would begin a conversation in this way, I'm quite certain that choosing to honor my request will benefit you in far greater ways than you may currently understand or "perceive" as being possible. First, I'm going to ask that you take a few undisturbed moments and read this letter in it's entirety. That you commit to taking the time necessary to absorb what I'm about to share with you in complete silence...to really focus so that you might fully grasp and benefit from the core essence of the message that is about to be revealed to you. I ask this upfront because I know how precious your time is. I also know that too many, fully believing that they don't have time to take away from their already overloaded schedules, doing whatever it is they are currently doing, which in the vast majority of cases fails to provide the quality of life or the level of results that the masses seek and desire, can many times easily bypass and overlook the very answers that would provide them with not only much more time freedom but also what they have been searching for and spending so much time doing. Second, I'm going to ask your permission to allow me to talk with you as a coach should, a trusted and caring coach that wants to make ABSOLUTELY certain that you consistently win at your game. Why? Because the game we're going to be discussing today isn't just any game.....it's an extremely important one. It's a game that you only get ONE chance at winning. It is THE game that everyone has a desire to win yet far too many are losing without fully understanding why. It's a game that I know that you have a sincere and burning desire to win every bit as much as I do, and the contents of this communication could provide you with the awareness and understanding necessary to begin winning in a really big way...EVERY time. I ask these two things, not as favors for me necessarily, but for you. How so? Because I believe that this letter contains vital information that few understand the power of. Extremely powerful and life changing information that I believe everyone is looking for but that few are aware exists. I believe that it contains the information that can quite literally transform every aspect of your life and provide you with exactly what you need to ensure you win the game consistently. Not a single area of your life, but your entire life, physically, financially, relationally, emotionally and spiritually. I believe that it contains the essential rules as well as the strategic plays that are absolutely essential to become aware of and master if you truly want and expect to win the game. Secondly I ask your permission because I am going to need to talk to you in such a way that a caring coach would. I'm NOT going to sugar coat anything, but what I am going to reveal to you will prove to be ABSOLUTELY ESSENTIAL and will provide you with EVERYTHING you need to make ABSOLUTELY CERTAIN that you win the game. As your coach, I'm NOT going to tell you what you want to hear.....I am going to tell you what so many NEED to hear. I'm going to do so in a way that is very direct yet at the same time please understand that it's shared with the utmost love and respect and with full intention of ensuring that you consistently win the game. And if you'll listen attentively, if you'll choose to remain open and willing to become aware of and internalize the strategic plays that I'm going to reveal to you and then take the initiative to execute them properly, I can assure you with 100% certainty that you'll not only win the game and come out the victor, but you'll walk away with a far bigger trophy than you may have previously conceived as being possible. There is one harsh truth that you must become aware of. It has to do with your opponent. An opponent that is consistently yet at the same time...often times unknowingly...attempting to keep you off of playing your game at your full potential. The reality is that you won't be facing off with an opponent in the traditional sense of the word. Although there is an opponent, you'll find that as we progress in revealing both the rules and the strategy of the game that this opponent is you. That may come as a bit of a shock to you but it's essential that you understand just how "true" that statement is before we begin. We'll cover that in more depth in a few minutes, but first let's discuss some things that are vitally important, so you'll fully understand the need to play the game with everything you've got. I know that regardless of where you may find yourself in relation to your current results or what you might presently believe to be true with regard to what's possible for you and your potential for the future, that the results that you're currently experiencing REGARDLESS of how grand or bleak you might currently perceive and believe them to be, can become far more pleasurable, rewarding, fulfilling and meaningful just by becoming aware of and remaining open to the possibility that the current actions you're taking to acquire them if you're like the majority, although a necessary component for winning the game are in and of themselves extremely limited in nature. I also believe that once you've been introduced and exposed to the key strategies revealed to and shared with you in the contents of this letter, that your life will never be the same. You'll be armed with the skills...essential skills as well as the understanding you'll need to win the game. I fully believe that if you are willing, ready and able to grasp the core essence of the message that I'm about to reveal to you, more specifically the transformational power you'll gain as a result, that your life can and will be transformed physically, financially, relationally, emotionally and spiritually. There is a qualifier to make that "real and true" for you though...an IF. IF you are open and willing to accept a point of view, to make a slight paradigm shift in your mind that you may have never before considered making, due to preconceived notions and beliefs that you currently hold regarding yourself, your "true potential" and what's "truly" available to and possible for you. It's going to be necessary that you remain open and willing to at least consider as possible a perspective...what I've come to know to be a very empowering perspective that may very well stretch your comfort zone initially, but which could prove to be the most transformational insight and guidance you've ever been exposed to. It's a form of insight and guidance that I've come to know through personal experience to be needed to turn your deepest and most heartfelt desires, what you may currently believe and "perceive" to be "wishful thinking", "illogical" or "unrealistic" in comparison to your current results, into a very real part of your daily life experience. I personally believe that it will enable and empower you to win the game in a big way. Not sometimes...all the time. I also believe that once you've become aware of the rules and strategies that I'll be sharing, that these desires that you hold, whatever they might be, can be attained in a much more pleasurable, fulfilling and rewarding way than most currently perceive that they can. In such a way that many might refer to as "effortless." Without struggle...without difficulty and without unpleasant sacrifice. I believe they'll provide you with a way that enables you to harmonize your core values and priorities enabling you to touch and fully experience a true sense of harmony, contentment, inner peace and well being in every aspect of your life. I'm going to ask as we progress that you do a few things that may currently seem immaterial or unrelated to winning the game.....but if you'll follow along and do them you'll soon see that they are EXTREMELY relevant to the overall strategy and a very key aspect of winning the game. ...Everything happens for a reason...for a very specific purpose...for a "Greater Good"
You see, I believe that you have arrived here for a reason. Although you may not currently understand or believe it at this point, just as every second of every day which unfolds in your life you are here reading this letter right now for a specific purpose. There are no coincidences or chance occurences in life as many believe. In fact I have come to believe that "Everything", regardless of how significant or insignificant it might be "perceived" at the time it is being experienced, regardless of how pleasant, unpleasant, joyful or painful things may "appear" at the time, that each of them happen for a very beneficial and specific purpose and that each is designed to lead you to a place of deeper understanding and greater fulfillment....one step closer to winning the game. But........at the same time you are also provided with a choice. An inalienable right of free will to choose to recognize or not the lessons intended to be learned as a result of those experiences. Based on that free will you are always provided a choice to move toward, through or away from the ultimate destination that you have a desire to reach. It is those choices...the moment by moment choices that YOU yourself make or don't make that determine without fail how the outcome of the game turns out for you. The beauty of it is though...you can NEVER lose. Not EVER. The "Greater Good" is always revealed. Within EVERY outcome...every conceivable or non-conceivable outcome exists a silver lining. Granted, many times we aren't able to recognize the "silver lining" that is always present within EVERY situation or circumstance, but regardless of how negative, painful or adverse you might "perceive it to be" at the time, regardless of what that situation or circumstance might be, the "silver lining" is always there 100% of the time. Most times we fail to recognize the good due to a lack of deeper understanding and as a result often miss the direction and guidance that "perceived adversity" is intended to provide, but that certainly doesn't mean that "the good" doesn't exist within it. It ALWAYS does. We only need make the choice to dig deeply enough to find it. If we'd remain open and willing...if we'd just take the little time necessary to stop for a moment, think less about how "bad" it is, open ourselves up and allow the intended message to be revealed, the game would become much easier, much more fun and require far less effort to win. I must confess that I haven't always believed that, and as I've since discovered based on my own personal experiences...by playing the game in a variety of ways as well as through my many years of leading and coaching others how to play the game most efficiently, until this deeper understanding is established, until you truly grasp the fact that "All things really DO work together for a higher good" most can't and don't recognize the ultimate good that can come from experiencing what is often "perceived" as lack, limitation and discord, and as a result of that "unfortunate choice", remain trapped in it's seemingly inescapable clutches much longer than necessary until they learn the lesson it was designed to provide which enables them to move quickly through it and on to the next lesson. See...that's the real beauty of the game. We get to choose how we play it. We get to choose each strategic play. There are no set boundaries or set in concrete rules that we're limited by. There are no set rules that we have to follow. Only the rules that we choose for ourselves. Granted, at times we can and do experience outcomes, outcomes that we "perceive" to be in direct opposition to winning, outcomes that happen that make us "believe" that we're being penalized, that we're losing, but that's all part of the game. Once we recognize that fact...once we choose to open up, learn and accept that it's our own choices that placed us in what we "perceive" to be the penalty box, that it was ourselves that created the rules that we chose to play by...that it was us who picked and chose each strategic play that provided the outcome, the game gets really fun and exciting. That's when we become enabled and empowered to begin winning in a REALLY BIG way. We begin to understand that by simply choosing a different set of rules and adjusting our play strategy just a bit that we can not only come out of the penalty box, come from being what we might "perceive" as being way behind, to an experience of incredible victory. We only have to choose to recognize and accept just how real and true it is to begin experiencing and savoring the victory. It's an essential part of the game. It's one of the most important and exciting parts in fact once we begin to recognize and come to the realization of what the games really all about and once we do we can begin consciously and consistently designing the plays and strategies in such a way that without fail enables us to win consistently. It's designed this way intentionally so that we can fully enjoy, engage in and experience every aspect of the game. Even though we may call foul at times, even though we may go through a portion of the game not playing in a way that enables us to experience what we think we should or in a way that we should, at some point we come to recognize that it was our individual choices that created score...the outcome. Some recognize it sooner than others. Some have to spend a bit more time in the penalty box. Some call foul more than others. It's designed to enable us to see that we can change our strategy anytime that we choose. It's simply a matter of becoming "aware" that to begin winning, we just need to play in a bit different way. That's the really great part of this game. We can change the rules and the strategies anytime we choose. In fact I used to believe, many years ago, as so many currently do, that each of the events, conditions and circumstances experienced in life, both those perceived as good or bad, joyful or painful, right or wrong just happened based on fate, chance or luck. I truly believed they unfolded haphazardly due to a random and capricious set of uncontrollable external circumstances that most "perceive" themselves as having no personal control or say so over. That we were designed and placed here as creatures of circumstance. That was until I discovered who the "real" opponent was who was keeping me from winning my own game in the way I consciously desired and amazingly...as I would soon discover...it was me. Based on what I had been taught was true as so many are, I believed as so many still do, that you just had to "grin and bear it" regardless of what those experiences consisted of, and play your hand the best way you could, making the best of whatever cards were dealt to you. I also believed at one point that our outcomes were based strictly on the physical actions that we took, how long and hard we worked, and what we did or didn't receive in life was based on how "good" we were. I fully believed that our free will, our ability to choose was limited to a physical world and anything beyond that was taboo and shouldn't be delved into nor investigated beyond what many of the man made religions of the world allowed and "told us" was proper. Is that what you currently believe? Do you think that life just unfolds and happens for no apparent reason? Do you think that each of the events, conditions and circumstances that you experience each day are just a random set of experiences that happen without justification, purpose or a specific intention? Or perhaps you're the type that understands at some level that your life experiences do happen for a purpose, but you have very little or worse, no control over what those experiences consist of aside from what you can do from a strictly physical perspective. If you're anything like I used to be... that's exactly what you think.... And if you do, you'll find...if you choose to dig below the surface just a bit, that you are not fully experiencing everything that you have the potential as well as the desire to experience in your life. If you're anything like me and billions of others on the planet, you've discovered and in many cases come to believe that many of these desires that you hold are believed at a heart level, based on previous teachings, to be just plain illogical, "wishful thinking" or in some cases selfish, without much chance if any at all of ever seeing them materialize in your life short of some miraculous event like winning the lottery or inheriting some large estate from a rich relative. If this is your current predominant mindset, the remainder of what I have to share with you could very well provide the missing ingredient that will transform your entire world and provide you with what you need to begin wining the game in a big way...IF you'll only choose to remain open and allow it to. In fact, if your willing to do that, I know it will. To Win The Game, You're Going To Have To Change Your Current Internal "Map Of Reality"
What I've described above is precisely where I found myself at one point. Based on much of the conditioning that I received and which I have since discovered so many have received, until I was willing to shift my paradigms concerning what was truly possible, until I made the conscious choice to "awaken" and expand my awareness...to stretch outside of my own established and self limiting and constructed boundaries and made a rock solid commitment to change my "Internal Map Of Reality", based on beliefs that "I allowed" to be established and made the choice to remain stuck within, my external physical results remained limited in exact correlation to what I "believed" they would be. Regardless of whether you are willing to accept it or not... it is YOUR current beliefs, YOUR "Internal Map Of Reality" that is creating your external results. I'm not going to ask you at this point to buy into and believe what I say. In fact I'm going to discourage you from doing so unless and until what I am about to share penetrates and moves you at a heart level. I'm going to ask that you not make ANY judgments at all at this point unless and until you experience a spark of inner wonder and hope, an intuitive calling if you will, that enables you at some level to sense and "know" that what you've been exposed to so far could possibly provide the map to the "victory path" that will lead you where you desire to go. Although I won't ask you to believe it at this point, I am going to ask that you suspend your current beliefs long enough, and remain open to a perspective of limitless possibility that you may not have previously considered that could potentially serve to transform every area of your life and provide every hope, dream and desire that you may currently perceive to be "wishful or hopeful thinking" into very real experiences in your life. Although at this point I won't ask that you accept it as your truth, I will ask that you remain open to the possibility that what you're soon to discover may prove to be the information, insight and knowledge, that you've been seeking but lost hope in ever finding and remain open to the possibility that once discovered, accepted and acted upon could possibly prove to be what you have been seeking to turn it all around for you too. How can I possibly make that claim? Because……..
What I've Discovered As A Result Of Years Of Intense And At Times Frantic Searching Transformed My ENTIRE World Dramatically, And I Believe It Can And Will Do The Same For You If and When You're Ready For It To and Choose To "Allow It"
But just because I believe it doesn't mean that you have to. What has proven to be true for me and numerous others won't necessarily prove to be "your" truth unless you are at a place that you are ready and able to fully accept, internalize, "believe" and act on it. I must say that as "seemingly miraculous" and life changing as some of my personal experiences have proven to be as a result of my discoveries over the years, until I had arrived at the place that I was truly ready, willing and able to fully accept and believe that such occurrences were possible for me at a heart level, until I made a firm commitment to delve deeply, and possessed a sincere desire to discover and unlearn much of the "traditionally established" beliefs taught which I recognized to be conflicting and self sabotaging in fulfilling my desires and developed new beliefs at a deep subconscious level and made a conscious choice to stick with it no matter what, So it didn't happen without a cost. But that short term cost was minuscule in comparison to the profound breakthroughs experienced and life long benefit that would be realized as a result. In fact the series of "growth lessons" that I would encounter prior to making the commitment necessary to set out and make these discoveries were some of the most painful and trying experiences that I had ever encountered to that point until I began discovering that each of them had this silver lining that I mentioned earlier. As I would later discover, it was due to those "growth lessons" that made it possible for me to set out and discover what was "truly" possible. They would prove to be the "silver lining" that I initially failed to see until I broke through what I "perceived" at the time to be the inescapable storms and the darkness and began to realize what laid on the other side. That same way of thinking, those very same beliefs that I held at that point based on what I had been "taught", accepted and "believed" to be true without first investigating their validity for myself, would end up creating much pain and hardship in my life. The fear that would eventually set in due to believing that my future and the well being of my family was being determined by some external random force created a series of events that would prove to be some of the most challenging and painful years I had ever experienced. Little did I know at the time, as terrifying and painful as I perceived those "growth lessons", what I was experiencing, they would also serve to be the most eye opening, rewarding and enlightening period of my life and the experience of them was designed to lead me where it was that I had always desired to go. As painful as that period was, I had no idea at the time that I was being shown that there was a much better way, that a much greater quality of life was awaiting me than what I had become accustomed to and believed or could even conceive was available at the time, and it's attainment was much simpler to acquire than the way I had "believed" and had been attempting so hard to achieve based on my understanding and limited perspective at the time. Having achieved a level of what many "perceive" and mistakenly equate success to be based strictly on monetary attainment, I came to the realization that regardless of the amount of money I acquired, no matter how many "things" I was able to acquire, which based on the worlds standards equated to success, due to an imbalance or disharmony and having to sacrifice my highest values to attain this "status", I found myself lacking a sense of true harmony and fulfillment that somehow I knew was available, but couldn't seem to find. Due to feeling trapped, and fully believing at the time that I had no other choice, I temporarily continued my "Doing" in the best way I knew at the time, and continued resisting the internal knowing that there was a better way. That day I made the choice and an unwavering decision that I would find the answers regardless of the cost or effort involved. After many years of searching, looking for the answers that few seemed to have the answers to, attempting to figure out why life unfolded the way it did, more specifically why MY life seemed so chaotic and unfulfilled, I discovered the "Real Truth." That single discovery was the first of many that would follow which began to open doors that would not only serve to provide the answers that I had for years so earnestly sought out, and would prove to transform my entire life. How can I know that? Because another one of my discoveries along the way was that we each have the same limitless potential...the same ability to create whatever kind of life that "We choose" to create regardless of background, gender, current financial condition, age, color, geographical location, etc etc. I discovered that we each have the very same potential to create harmony and fulfillment in EVERY area of our lives once we come to the place of being sick and tired of being sick and tired and are willing to just stop to look deeper than what the majority are willing to recognize and embrace due to the "self limiting" and traditionally established ideals which the majority have accepted as "truth" without investigating for themselves where these "perceived truths" was derived from. discover what few in this day and age understand. It simply doesn't matter, UNLESS we "believe" it does. Ironically, these answers I discovered were the very answers I had been presented with many years prior, which at the time I chose to ignore and write off as far fetched nonsense due to "beliefs" that I had established and held at the time. It wasn't until experiencing years of mediocre results, numerous failed relationships, and an uncomfortable feeling of overall discontent all the while "Doing" the best I knew how based on what I had been "taught was the "correct" way to do them" that I began to sense that there must be a better way. There HAD to be. Although I had heard of, read about and even associated with those who appeared to experience harmony and fulfillment in life, for the life of me I couldn't figure out why some could while others couldn't, other than thinking and believing that some were just "luckier" or "more gifted" than others. My predominant belief at the time was that some must just be "luckier", more blessed or born with the "silver spoon" in their mouth. That realization, more specifically the search that I embarked on as a result of that realization would prove to provide the answers that once I discovered, investigated and implemented them, began to make everything crystal clear, and through taking action and applying what I discovered , things in my life began to change..... DRAMATICALLY. Since that discovery I've made a choice and a lifelong commitment to do everything in my power to awaken others to those same incredible and life transforming discoveries that I made, to share those same truths that have benefited me in "profound" ways, with those who were ready to hear, in the hope that I might assist others in avoiding some of the same pitfalls and "growth lessons" that I experienced. It has become my passion as well as my purpose to assist in awakening those who possess a sincere desire, who find themselves in the same place where I found myself many years ago, sincerely looking for answers, and who are ready, willing and open to receive them. To share with those looking for a what I have discovered that will provide them with a new sense of hope, purpose and fulfillment. To awaken everybody who would listen to the fact of who they "truly are" and the limitless potential and possibility available to them regardless of what they currently believe. I discovered that my life was unfolding precisely as I believed that it would based only on my "perceptions of truth" at the time. I also discovered that these same self limiting and restrictive "perceptions" are no different than those which the "majority" hold. Beliefs that although at the time, I fully believed were "correct" which I have since found to be not only extremely limiting and restrictive, but were the very reason that I was unable to achieve in life at the level that I desired. As so many are in this age, just as I was, I'm going to assume for a moment that you have arrived here looking for answers as well. No nonsense, clear, concise, powerful and life changing answers that address and clearly answer the deepest and most frequently asked questions which traditional education systems, friends, relatives, and the majority who have also allowed themselves to become clones of these self sabotaging and limiting traditionally established "belief systems" can't seem to provide. Why? Because like you and I they have allowed "perceived truths" acquired throughout their lives, which in many cases aren't true at all to taint and limit what is truly possible for anyone with a desire to discover and explore the real truth. They like so many others have allowed their lives to be limited and controlled based on false "perceptions of truth" their entire lives without taking the initiative to fully investigate and discern for themselves if what they were taught was "really true" at all. The answers are available that will enable you to experience harmony and fulfillment in your life. Answers that you know at a heart level exist, but have yet been unable to find. If you're like most, you're seeking ways to begin experiencing more harmony and fulfillment in your own life. You can sense it, you know at some level although you may not yet fully believe it based on where you've been and what you've experienced, that it's there somewhere. At some level you know that there must be a better, easier, and far less stressful way to experience life than the path you currently find yourself taking. If this describes you…..don't feel alone, most are. Sadly, the majority, for lack of a willingness to discover the "Proper" place to look, spend unnecessary years and even decades "looking" for this path but never finding it. Too many times, these answers can appear as non existent because based on what most have been taught and led to believe, they continually seek them in all the wrong places. They continually attempt to fill their seemingly unfillable voids all the while thinking and believing that "this is how life was meant to be." But then at some point in time, often times after years of unnecessary hardship or struggle, many discover, just as I did, and come to the realization that "Maybe it's NOT. Maybe life really isn't suppose to be this hard." In such a fast paced, busy, and high stress world, most, at some point in time come to this realization. They begin to sense that there must be an easier, better, more fulfilling way to experience life. They begin to develop a hunger deep inside somehow sensing that there must more to life than 50-60-70 hour works weeks, overloaded schedules, traffic jams, constant struggle, stress, anxiety and fear. There must be more to life than working long hard hours, living week to week or month to month, scraping and struggling just to make ends meet, with little time left over for their families or for the extra curricular activities that bring them pleasure. For some this realization develops and surfaces as a result of mental and physical exhaustion. For others it may be due to some form of traumatic experience. For still others it may happen as it did for me as a result of an imbalance or disharmony in the truly important areas of life until they've finally had enough. Regardless of how it happens, inevitably at some point it happens. But once it does, then what? What steps do you take that will enable you to reach and experience the harmony and fulfillment that you seek and at some level have come to "know" exists? Where do you turn for answers? "Real answers." Many who reach this crossroad, in an effort to acquire this more, turn to traditional education, or self help / personal development type programs fully believing that if they could just gain a few more organizational or professional skills, or find that one "magic pill" then surely life will become easier. In many cases although they may experience "temporary" change, more times than not they find themselves right back where they started or in some cases worse off than when they began, leading them right back to the same path experiencing the same unfulfilling results, experiencing the same fears and anxieties, falling back into the same hopeless mindset, and asking the very same questions. Isn't there more? THERE MUST BE MORE!! Well my friend, there is more. MUCH more than the vast majority can even fathom and it's attainment is much closer and far easier to acquire than most realize and are willing to accept. There is a way for you to experience fulfillment, harmony, plenty and joy in life. It IS possible to experience balance, harmony and prosperity in each and every area of life whether physically, financially, relationally, emotionally or spiritually. Regardless of the "majority mindset", or what the masses "perceive" life to be, you can experience harmony in the 3 ALL important areas of life which include an abundance of money, health, and relationships. With that being true, why is it that most DON'T experience it? In my experience, the number one reason is because they don't "believe" that they can. Most have been conditioned to believe that life is hard, money doesn't grow on trees, you must work hard for the money you earn, that big dreams and desires that fall outside of the traditionally established ways of "thinking" aren't "logical", that you must "settle" for whatever is given you because that's just the way life is, etc. etc. etc. The "Real Truth" is that the majority have been inundated and programmed with "Traditionally Established FALSE Beliefs." As difficult as it may be to accept and swallow if you aren't experiencing harmony and fulfillment in YOUR life, you too are a bi-product of the "beliefs" that YOU hold, both conscious as well as subconscious with respect to what's possible for you and limit the individual potential that YOU already possess to achieve WHATEVER you desire. If it's so simple then why do so few find it? "Because most fail to look for the answers or if they do seek them they look in all the wrong places, They fail to recognize the simplicity of a perfectly constructed plan which provides them with an inalienable right of free will, which if correctly exercised, empowers them to develop the necessary awareness that would enable them to experience all they desire to experience and more with "seemingly" effortless ease." The more that you are seeking regardless of what it may be, doesn't come from or require working harder and longer at jobs that are displeasing and unfulfilling, continually competing for your rung on the ladder of success. Contrary to widespread belief, money IS NOT hard to come by, life ISN'T designed to struggle through, experiencing continual stress, anxiety, and fear, continually experiencing a gnawing hunger to experience more. The current events, conditions, and circumstances that you experience in life DO NOT happen as a result of some capricious set of external circumstances which are outside of your control. So why is it that the majority continually experience these outcomes? Because they continue to lean on the very same understanding and beliefs that direct and instruct them to take the very same actions that failed to create the more they desired to begin with. Until they are ready to come to the realization that external things in and of themselves will NEVER make life truly fulfilling, without other essential key elements in place, they continue to repeat the same old unproductive patterns over and over again based on the same limited understanding, producing the same disappointing temporary results, all the while hoping, wishing and expecting some miracle or stroke of luck will somehow change their circumstances. But it never comes, unless YOU make the choice to find it!! There is a much easier way. There are answers which do exist, very simple, profoundly powerful and life transforming answers that can and will fill the empty void that so many have relentlessly and without success sought out and attempted to fill and satisfy utilizing these traditionally established and ineffective methods while at the same time enable you to experience the many physical pleasures of life in FAR greater proportion than you previously "perceived" or "believed" as possible. Because you are going about attaining it in the wrong way. You have been conditioned to believe that in order to acquire this "more" that you must "DO" in a way that produces only temporary and very limiting results if any results at all. As a result you find yourself continually seeking more of what you thought would fulfill that empty place by "working harder", getting better, or somehow "DOING more" only to discover that this DOING leads to more stress, anxiety, disharmony, imbalance, disappointment and frustration always leaving you hungry and seeking for "more." You have not yet discovered that "Real and Sustainable" wealth, "True and Lasting Wealth" whether in the area of money, health, or relationships can NEVER be achieved by "DOING", Resisting, and continually attempting to swim against the current, continually being swept downstream only to find yourself no better off and in many cases worse off than when you began. Harmony and fulfillment in life, in EVERY area of life doesn't happen by more "Doing" but rather "Allowing." You have not yet developed the "Knowing" that whatever it is that you are seeking is NOT somewhere in your past or off in the distant future to be acquired at some future date, but is right before your eyes, already within your grasp, only awaiting you to reach out and accept it, and "Allow" yourself to experience it RIGHT NOW. If that sounds a bit "out there" or "esoteric" to you at this point, I fully understand. At one point it did to me as well, but hang in there just a while longer and you'll soon find, just as I have just how true it is. It has been well over 28 years that I began earnestly, relentlessly, and at times frantically seeking those same answers that you are seeking right now and have since assisted many, traveled far, learned and experienced much and as a result have grown and progressed immensely since those first days. I have personally experimented with and utilized countless methods, techniques, and formulas, many claiming to be "newfound secrets", quick fixes, etc. and have discovered from a personal perspective what does and does not work. I am NOT implying that I have "arrived" by any means. I too am still a student of the process. I still have much to learn and experience and am quite certain that even as much as I have discovered and experienced to this point, I have barely scratched the surface to future potential and possibility. I have discovered that regardless of how far we may progress in our understanding, no matter how many "profound awakenings" we may experience, regardless of the number of "perceived miracles" that we encounter during our journey, regardless of the level of our attainment from a physical or spiritual perspective, there is always something more to be discovered. Some deeper answer that leads us far beyond what we at one point thought was "as good as it can get." My intent today is to share with you what I have discovered through my own personal challenges and growth lessons as well as my incredible victories in the hope that your path to understanding and greater peace and harmony might be shorter and easier to attain. I share with you what I have discovered so you might not repeat the same mistakes and be forced to walk the same, at times painful and fearful path that I traveled in my struggle to awaken thus far. Throughout the past 28 years I have devoted countless hours studying, researching and earnestly seeking the answers that I somehow knew existed that would prove to fill the empty void that at one point seemed impossible to satisfy. I sought those same answers that you are seeking today in numerous circles of man made structured religions, through an intense and in depth study of science, the human physiology, nature, and spiritual texts from around the world. I discovered and utilized countless numbers of life enhancement tools, seminars, books and programs, many of which I gained tremendous benefit from and which have made a positive and profound impact on my life as well as those which weren't worth a fraction of their cost. I have studied under and received profound guidance from some of the most insightful and enlightened mentors and spiritual teachers in the world. I have experienced and unsuccessfully attempted to fill my own void by attempting to manipulate the external results that I desired through the same non-productive and energy draining means that the majority so unsuccessfully utilize because that is what I was "taught" and came to believe was the "only way" to arrive and achieve what I have always had a sincere and burning desire to achieve. I have worked the 16-18 hour days 6 days per week, fully believing that the monetary reward gained would provide the answers and fill the void that was present, and as a result experienced first hand the mental, physical and emotional exhaustion and imbalance that result and that I've since discovered that so many unnecessarily experience today. I have experienced the "temporary" satisfaction of a six figure income and acquiring millions of dollars, as well as experienced the demoralizing devastation of bankruptcy not once but twice, and the fear and anxiety which so many experience associated with wondering how to properly provide for their families in the way that they desire and which they deserve. I know what it is to spend countless hours experiencing gut wrenching anguish on my knees begging and pleading to God to please rescue me from this perceived hell all the time wondering why it was that the answers didn't seem to come. I fell into the same self limiting traditionally established belief system that some prayers were answered and some weren't. I have experienced the full gamut of emotions of apathy, grief, intense fear, continual worry, anger and even at times complete hopelessness and defeat. Prior to delving deeply into my studies, I began my journey utilizing various self improvement / personal development programs related to motivation, positive thinking. Although many played a significant role in my gradual personal transformation and I am extremely grateful for the immense contribution that the teachers who created them made in my life, they lacked the "real answers" and the depth of understanding that I sought and knew at a heart level was available. Although many provided temporary benefit from a physical perspective, they didn't address the deeper aspects that I would later come to discover as it relates to achieving "True" harmony and fulfillment in life. From those I progressed into more extensive personal empowerment programs which went deeper than conventional motivational and positive thinking programs, but still didn't provide the long term results.I discovered at the conclusion of each that there was something still missing. Some tiny piece of the puzzle that was keeping me from personally and permanently breaking through the barrier and experiencing the fulfillment and harmony that I had come to know was available but had yet to fully discover and experience. Although I knew there was more available, I just couldn't seem to find what that something was. Although they provided great insight and direction, it seemed that due to my analytical thinking process that for some reason I was unable to initiate the lasting change necessary that would enable me to experience what I most desired. I knew it was available, I had the intellectual understanding, I believed in the process for attaining it, but for some reason the manifestation didn't happen. I continued seeking, through various channels, sure that through persistence that I would eventually find what I was seeking. After many years of "growth lessons", temporary victories, painful and extremely stressful and disheartening setbacks, and through a personally initiated extensive study of the "deeper aspects" of life, I finally discovered the answers that I had been looking for. I came to the realization that for all those years prior, all the trying, all the pain, all the frustration was due to seeking for those answers in all the external places that I had been taught that would provide what I was seeking and through persistence would bring fulfillment if I only worked hard and long enough, if I persisted and utilized my willpower. That's NOT where I found them. The purpose and intent of this letter today is not to share my story of growth with you but instead to make you aware that you are not alone in your quest to fill whatever void you may be experiencing in your own life, and introduce you to what I have discovered and believe to be the most comprehensive, powerfully effective and complete life enhancement system for total life transformation that I have EVER encountered in my many years of seeking answers, deeper meaning and harmony in my own life. I refer to it as a "Total Transformation System" because that it precisely what it did for me. It provides a depth of knowledge and wisdom, precise and powerful guidance, life transforming tools and a depth of understanding that will shift your self limiting paradigms at a deep subconscious level, enabling you to make breakthroughs that you perhaps "perceived as "wishful thinking." After personally spending countless thousands of dollars, years of intense searching, numerous failed attempts through trial and error and at several points along the way nearly giving up the battle, I was provided the answers enabling me to discover and experience the harmony that I had spent so many years searching for and found in a place where I had never been taught or ever dreamed to look. Although I had been told that it was there, noone was able to provide the necessary insight or direction that would enable me to discover and unlock it. It provided me with a profound awakening and a sense of peace and wholeness that I knew all along existed, but to that point wasn't able to find. I believe that it can do the same for you too. In fact "I Know" it can IF you are finally at that place that you are willing and open to discovering and "Applying" what it teaches. If not, if it will just end up on the shelf collecting dust like so many self improvement and personal development books and products do, then there is no point in going further. Unless you are TRULY ready to make the changes in your life that will enable you to know what it means to experience harmony and fulfillment in your life and are sick and tired of being sick and tired and possess a willingness to change the internal processes which are creating your external experiencesthen you may not be ready. This system is called The Delfin Knowledge System Trilogy and is unlike ANY other system available in the entire world. Unlike so many personal empowerment programs available today, The Delfin Knowledge System is a stand alone "Total Transformation System" that compresses into one very insightful, powerfully effective and simple to comprehend and follow system, what took me 28 years to discover on my own through individual means. The Delfin Knowledge System far exceeds any other personal development / life enhancement system because it's purpose is not only to enhance a specific or individual area of your life but is designed in such a way that creates and initiates a sense of "internal harmony" which in turn enables and empowers you to experience and enjoy desired results in EVERY area of life, whether it be physically, financially, relationally, emotionally or spiritually. By developing the profound awareness of the life transforming wisdom contained within it, combined with the practical application of the simple steps provided, it enables the user, through it's application everything needed to quite literally achieve life / self mastery. 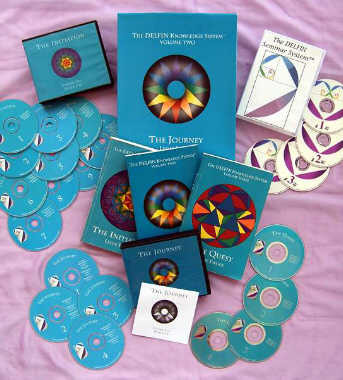 The Delfin Knowledge System Trilogy provides the user with an in depth, clear, concise, and eye opening view of how each of the day to day life events, conditions and circumstances experienced in life come into being from a physiological, psychological, spiritual, and scientific perspective enabling you to fully grasp and develop the necessary depth of understanding, which provides renewed hope and a heightened sense of faith and belief that will transform your life physically, relationally, emotionally, financially and spiritually into an amazing, "seemingly" effortless and joy filled journey. The Delfin Knowledge System Trilogy initiates and instills the necessary changes where they are absolutely essential to create real, lasting, and long term sustainable change regardless of who you are, where you currently find yourself, your religious preference, what your age is, your social status, your level of formal education, or which area of life that you desire to change. Where exactly is that change initiated? On The Inside. It enables you to awaken and rediscover the power that you hold and have held all along within yourself and instills that newfound assurance at a deep subconscious level to create the lasting and sustainable change that is necessary for long term results. Altering routines, manipulating external effects, or attempting to focus on and fix those external circumstances utilizing external means such as trying harder, working longer, or doing things which you would rather NOT do in an attempt to correct them will only prove to provide additional counterproductive outcomes and will continue to lead you to continual disappointment, increased fear and anxiety, failure and always seeking more. Inspirational and Motivational programs, although they do provide some form of temporary benefit in some cases, for the most part direct you to take external and physical actions and fail to address the deeply embedded subconscious internal issues which at some point in time, inevitably resurface and lead to experiencing the same disappointing results. Although many make sincere attempts to create change in their lives, eventually, due to a lack of addressing the deeply engrained internal issues at a deep subconscious level, soon find themselves falling back into the same unproductive and life draining patterns of "working harder", "doing more", and seeking the harmony they long for in an external world. If this sounds like your life, then I would suggest that you seek out and find a better way. These external efforts absent the awareness and "Real Truth" concerning who and what you "truly" are and and what you are truly capable of achieving will continue to provide mediocre results at best. Without recognizing, addressing and eliminating these deeply embedded subconscious processes which most aren't even aware exist which is essential for creating the "internal harmony" will only prove to be detrimental to your long term health and well being. Unless properly addressed and corrected at some point will literally weaken, sicken and/or kill you long before your time. Perhaps not this year or next but over time the additional stress, anxiety, struggle and continual strife which happen as a result will weaken and sicken your body. So what does the Delfin Knowledge System do to correct these issues? How can it assist you in fulfilling your desires and begin experiencing the physical pleasures as well as the internal harmony that IS ATTAINABLE without hard work and struggle? The Delfin Knowledge System is far too complex to will teach you to go within yourself where EVERY answer to EVERY question that you currently have or ever will have already lies which will provide you with the means to dispel the fear, recognize and eliminate the numerous false beliefs established throughout your life which are responsible for holding you back, and rewrite your internal "Map of Reality" enabling you to experience harmony, joy, and fulfillment that you may not even be able to fathom at this point. The Delfin Knowledge System provides a depth of insight and understanding which enables you to clearly see and understand at a deep level how ALL things which most perceive as separate or individual are intricately interconnected and how to use your newfound awareness to tap into the limitless personal power that has been provided to you empowering you to harmonize your thoughts, beliefs, emotions and actions with the limitless abundance and resources that have been placed here for your pleasure and gratification. I fully understand how unrealistic and "pie in the sky" that may sound to you. I can fully relate to the internal dialog and conversation that you may be experiencing right now because those same thoughts and that same conversation took place within me. How could it possibly be so simple? How could something so simple provide such profound results? I can only tell you from personal experience that the proper and seemingly effortless implementation of the simplest concepts and principles have proven to provide the most dramatic and life transforming results that I have ever experienced and I have come to believe that is precisely why they are so easily overlooked and never utilized by the majority. Most have been taught and led to believe that in order for something to be effective that it must take hard work, excessive effort, or in some manner be complicated to produce desired results. This is just one of many things that you will discover to be a blatant and traditionally established "Non-Truth." I have discovered and come to believe based on my own personal experiences, that the initial plan that was intended for every person on earth which was designed in a way to be simplicity in itself and intended to provide ALL with harmony and fulfillment that EVERYONE is seeking, but fail to find due to "giving up" prematurely, has become tainted and unnecessarily complicated due to absorbing and applying incorrect knowledge, false teachings, and long held and falsely established traditional beliefs. I believe that the plan which was laid initially, which is perfection in itself and provides profoundly rewarding results with seemingly effortless ease, over time has become twisted, tainted and impossible to follow due to these among other factors. I have personally found that the steps that lead to harmony, fulfillment, joy, and inner peace have become recognizable and are exposed to only a small percentage who are willing to make the choice as well as the commitment to develop the correct awareness and possess a willingness to unlearn much of what they have been falsely taught, which are the very beliefs that are responsible for dramatically limiting their results. It is this small percentage that take the initiative to find "real truth" which produces far greater results with far less effort, than is commonly believed by the majority.. There are no "Newfound Secrets" to attaining fulfillment and harmony in life. There are no hidden or secret clues that will enable you to experience the "more" that your seeking whatever that might be. The path that will lead you to where it is that you desire to go, has existed since the beginning of time. You only need open your eyes and your heart to it, unlearn the many false teachings that are keeping you from attaining whatever that might be and rediscover your ability and potential to experience it. The plan has been clearly and perfectly laid. The path that leads to a life of joy, fulfillment, prosperity and plenty is wide open, clearly visible, easily attainable and waiting for those who would choose to seek it out, open their eyes to it and take the first tiny step down it's liberating and life changing path. You have within you right here, right now, far more and far greater creative power than you may currently realize. Within you exists every answer to every question, every solution to every challenge, and an unfailing guidance system that will lead you precisely where it is that you desire to go regardless of where that might be for you. The attainment of your fondest desires isn't dependent on your age, color, level of education, current financial status, religious preference, country of origin, your government or for any other external factor that you may currently "perceive" to be holding you back. You only need to discover, recognize, understand, and awaken to the "Real Truth" and allow it to take you there. You only need "unlearn" much of what you have been taught to "perceive" as "Reality" and "Possibility" and awaken to your "TRUE Potential" and capability. Whether you choose that this is that time for you or for whatever reason choose that it isn't, at some point in time It is my hope that you will. 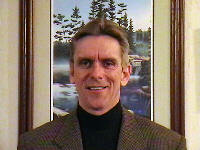 It is due to a conscious choice of awakening to and taking that first step which has proven to provide a total transformation for not only myself but tens of thousands of others around the world who have discovered their individual limitless ability to become a conscious and purposeful creator of their physical, spiritual, relational, emotional, and financial destiny. Your current and future personal choices may lead you down the same path that mine has led me. You may choose to experience years of the same unnecessary challenges and growth lessons that I and billions of others have experienced prior to seeking out and finding a better way. You may choose to believe that there is no such thing as true and lasting joy, harmony and fulfillment in life. That is certainly your right as well as your choice to make, but that would be a mistake. As I and tens of thousands of others can attest, regardless of what you may currently believe to be true, it does exist and you can experience it. You only need discover and awaken to the fact that it's true and make the simple and life changing applications necessary to experience it for yourself. The Delfin System provides everything you'll need to achieve life / self mastery with the exception of 2 very critical elements. Your willingness to "discover and apply" the life enhancing wisdom that it contains. and allow yourself to become fully informed before deciding if it is, or isn't for you. I fully understand how precious time can be but the small amount that it takes could very well prove to be the most rewarding and life changing time that you have EVER spent. I know that it has been for me and and tens of thousands of others and it will be for you as well if you'll choose to "Allow" it to. You truly can become a "conscious and purposeful" creator of the events, conditions and circumstances which make up your life experience once you have the knowledge, wisdom, belief and simple steps that will empower you to do so. The Delfin Knowledge System is NOT a religious program, it is NOT merely a scientific explanation of cause and effect. It is NOT merely a motivational or inspirational program. It IS a "Total Transformation Life Enhancement System" that will reveal to you how intricately tied together EVERYTHING is which enables you to clearly understand and put into use it's unwavering, immutable, non-prejudice, and IMMENSE life changing truth and power to transform EVERY aspect of your life. It WILL provide you with the crystal clear understanding of the process of harmonizing your actions at a deep internal level as well as the steps necessary to make your deepest and most heartfelt desires a reality in your physical world. providing you the opportunity as well as the potential to create substantial monetary wealth for yourself if you should choose to participate. Although it is not necessary or required to participate, the unparalleled opportunity it provides at NO additional cost to you, combined with your newfound awareness derived through the Delfin Knowledge System Trilogy will provide you with not only the inner change required for true transformation but the potential to create substantial external monetary wealth that will enable you to fully enjoy it in the external world. "You "Truly Can" Be, Do, and Have ANYTHING that you choose. You only need make the conscious choice to awaken to the fact that it's true." For your sake as well as those that you love, I hope that you do. and I will arrange an online meeting that will enable you personally meet Leslie through our state of the art conferencing software complete with audio and video capability, and make certain that you get any and all questions that you may have answered.